Music forms a cherished part of our worship at Holy Trinity Cuckfield. We have a Walker pipe organ, robed Choir, Family Choir and a large and active Music Group and all of these support Services throughout the year. These groups also participate in occasional concerts and recitals. Our re-ordered Church hosts regular Lunchtime and Evening Concerts; check the Calendar for upcoming events. Our monthly Music Lists (September 2018) offer a detailed list of which hymns, anthems, and settings we will be using in each Sunday Service, including the monthly Choral Evensong. Hymn numbers are from Ancient and Modern: Hymns and Songs for Refreshing Worship (2013). For reference, the current Term Plan shows an overview of the season’s music, and is available here. Originally dating from 1842, the Church’s Walker organ has been substantially rebuilt and restored over the years, most recently in 2006. You can download a full History of the Organ here. For further information contact our Church Organist and Musical Director, Richard Jenkinson. The robed Choir supports worship at the 9:45am Family Eucharist Services and at 6:00pm Evensong which is held each week except on the 2nd Sunday (when there is an Evening Communion). It is understandably very busy during the periods of Advent, Christmas, Passiontide, Easter and Harvest, and special services are devised for these occasions involving popular hymns, anthems and readings. The Choir Director is Richard Jenkinson (01444 882398), and the Choir Secretary is Eileen Macdougall (01444 451815). Choir practices are on Friday evenings from 7:30pm-8:45pm. 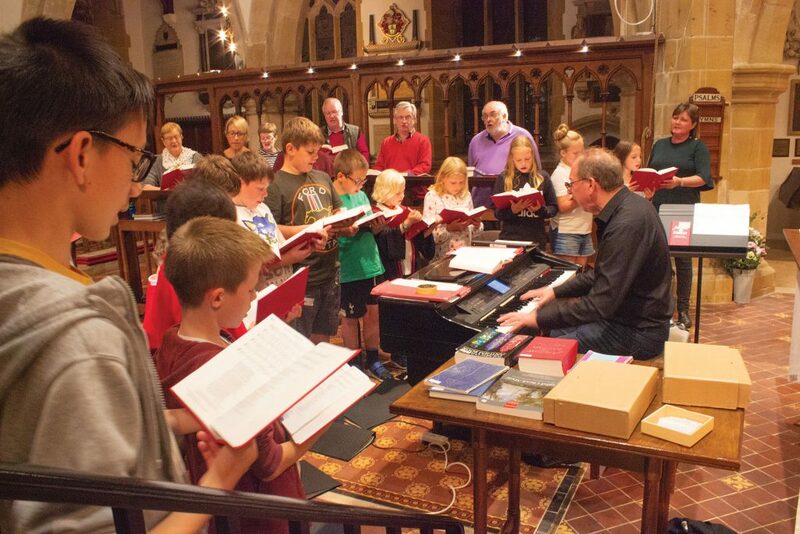 Choir Club for 8-14 year olds runs weekly on Friday evenings during term times. Click the link for full details of this fun learning experience. Choir Club members are given opportunities to sing in services, both as a group and as part of the larger choir. New members are always welcome and if you are interested please contact Richard. It can be useful to have some knowledge of reading music especially if you are an alto, tenor or bass. People often think that joining a church choir requires a large commitment of time. Obviously we hope members will attend as many practices and services as possible, especially around the major festivals, but we all recognise that people lead busy lives. The Music Group is a central part of worship at 1st Sunday 9:45am Family Services (prior to which there is a time for gathering songs). It rehearses in the Church on the previous day, Saturday at 4:30pm. The Group also makes additional performances from time to time. Anyone who enjoys playing any musical instrument is warmly encouraged to join our Music Group and the Music Group Secretary is Michele Branscombe (01444 415802).